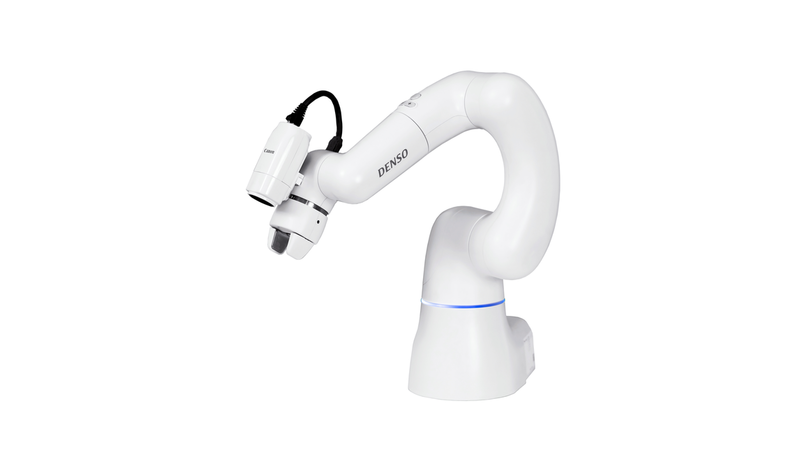 With a unit weight of only 4 kg and the control wiring integrated into the robot arm, COBOTTA is easy to transport and can be quickly put to work; thanks to its graphically designed App „COBOTTA World“, the robot is truly easy to operate. COBOTTA has been developed as an open-source platform (as a standard, it supports ORiN) and thus can be integrated into existing systems. With a loading capacity of up to 500 gr and its unique compact design, COBOTTA is particularly well suited for operating in small spaces and in direct collaboration with humans. Equally important is safety: The robot’s design has no sharp edges or angles and complies with all applicable ISO norms. Its speed (100-max 900 mm/sec.) has been customized to human- robot collaboration.